Symmetry is when one shape becomes exactly like another if you flip, slide or turn it. In other words, it is the same in size, shape and relative position of parts on opposite sides of a dividing line. 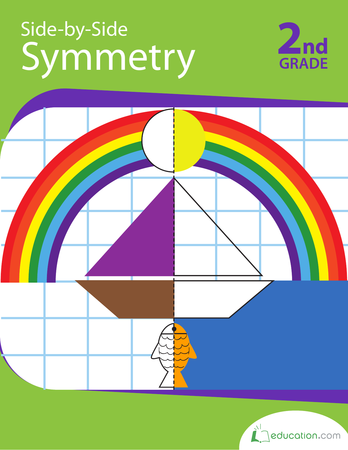 Use our worksheets and resources to teach your students all about symmetry. This will give them a good foundation when learning about this very important concept in Geometry. Can you see the symmetry? 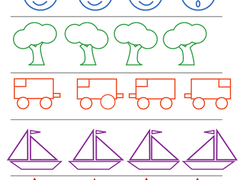 Use this resource with your students to practise identifying shapes with symmetry. 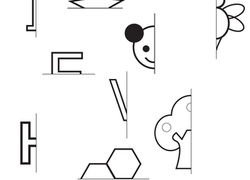 After your students identify the symmetrical shapes, they will draw a line of symmetry. Symmetry is all around us, even in the letters we use in the English language! Use this fun geometry exercise with your students to give them practise identifying and drawing lines of symmetry. Circle, triangle on the wall, which shape is the most symmetrical of all? Your child will have plenty of practise with basic drawing and shapes; plus lay the foundation for later maths like fractions. Introduce your child to reflection in geometry with this year three maths worksheet. Introduce your child to reflection in geometry with this year three maths worksheet. Your child will find the pictures that are mirror images of each other. Help your child understand the concept of symmetry with this year 3 maths worksheet. He'll draw the other half of each shape to make each one symmetrical. This year 3 geometry worksheet helps kids grasp the concept of symmetry by asking them to complete the other half of a symmetrical shape. 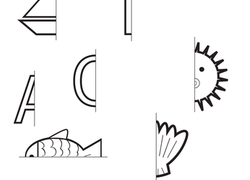 Kids learn about symmetry in this fun year 3 geometry worksheet by drawing the other half of each picture to make a symmetrical shape. Want to breathe a little colour into your geometry lesson? Help students understand lines of symmetry by having them identify and decorate symmetrical butterflies. The end result will be beautiful! If a shape can be folded in half so that the two halves match exactly, it’s symmetrical. Use this fun activity to help your students develop their understanding of symmetry by creating their own silly symmetrical animals! Symmetry, in non-mathematical applications, refers to proportion and balance, a sense of harmony and agreement in dimensions. In geometry, it is a shape or an object that can be divided into two or more identical pieces and are arranged in an organized manner. An object is symmetrical if a transformation happens that moves the individual pieces but doesn’t change the overall shape. So, if a figure can be folded or divided into half so that the two halves match exactly then such a figure is called a symmetric figure. Imagine a square or a triangle and fold it straight down the middle—each side is exactly like the other, which makes them symmetrical. Reflection symmetry: Also known as line or mirror symmetry, reflection symmetry is the most common type of symmetry. It simply means a line goes through the shape and divides it into two pieces that are mirror images of each other. Rotational symmetry: An object that is rotated about a fixed point without changing the overall shape is called rotational symmetry. Many shapes have rotational symmetry, including rectangles, squares, circles and all regular polygons. An example of rotational symmetry that you’re probably familiar with is the recycling symbol. Translational symmetry: Translational symmetry is when an object undergoes a movement, shift of slide in a specified direction through a specified distance. Think of a honeycomb or a wallpaper pattern that repeats. There are many more types of symmetry that students learn as they get more advanced in their maths knowledge. 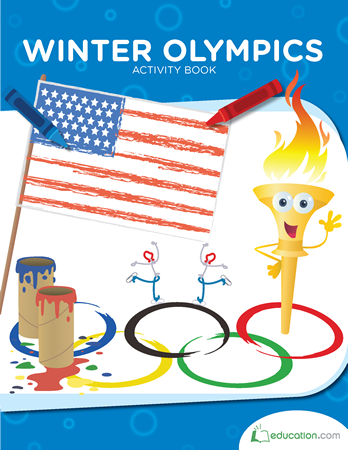 For now, teach them about the basics of this concept using our worksheets and resources.